Those are the words of a distressed Venezuelan mother during a recent massive, nationwide blackout that cut off power to homes, hospitals, and everything else for many days, even shutting down water systems for entire cities. With most basic necessities in desperately short supply and their paychecks almost worthless because of hyperinflation, despairing Venezuelans are leaving the country—thousands every day, the largest human migration crisis in the history of Latin America. People traveling across the Simón Bolívar International Bridge into Cúcuta, Colombia. 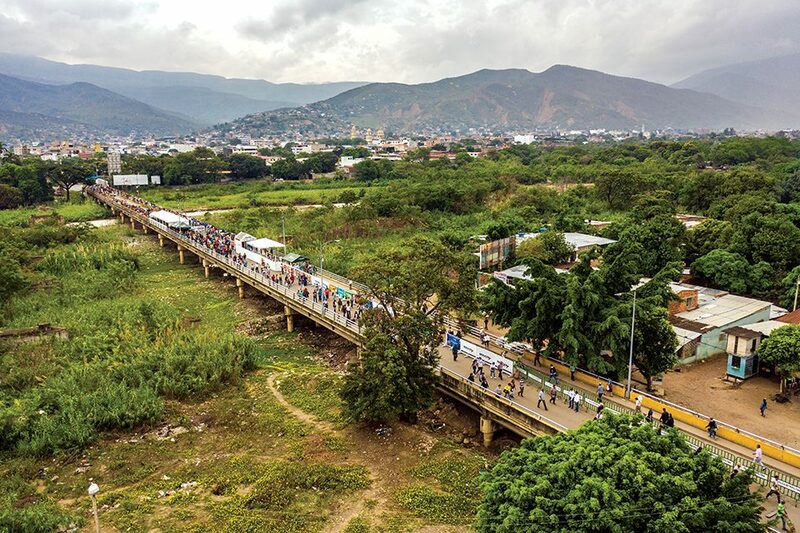 Many are streaming across the Simón Bolívar International Bridge to Cúcuta, Colombia, a three-century-old city just over the border. Cúcuta’s population of about 725,000 has bulged to more than a million as refugees arrive in search of hope. 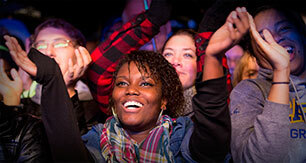 You can help share real hope with them this week as I preach the Good News of Jesus Christ at a Festival of Hope there. Jesus said, “If anyone thirsts, let him come to Me and drink” (John 7:37, NKJV). 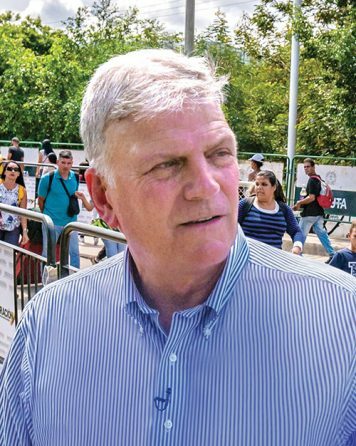 Franklin Graham at the Simón Bolívar International Bridge. I was in Cúcuta a few months ago and stood near the end of the international bridge, watching the steady flow of people hiking past me out of Venezuela carrying nothing but a bag or small suitcase. 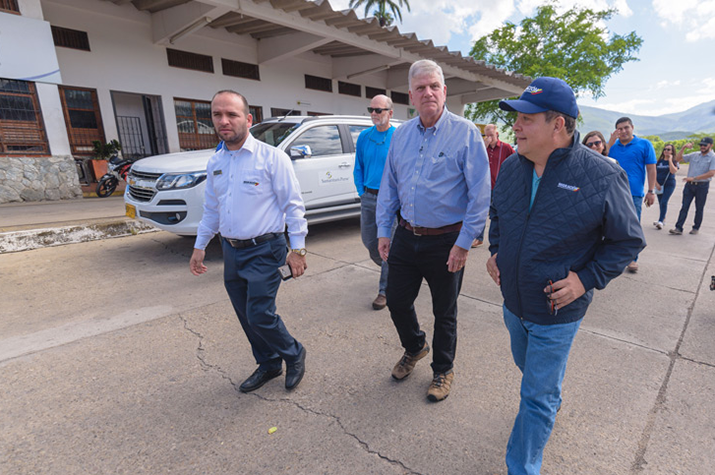 I heard heartbreaking stories and talked with pastors who told of churches and Christians in the Cúcuta region making sacrificial efforts to help the flood of anxious newcomers. But the huge influx has created severe problems for the city and increased instability, including a big jump in violence and crime. Pastors in Cúcuta see an urgent spiritual need among both refugees and residents, and they have invited us to come help them by holding an evangelistic Crusade April 19–20. There is great enthusiasm among believers—Colombians and Venezuelans—for this outreach. Will you stand with them through your gifts and prayers? Pray that God will touch many hearts and draw many to new life in Christ as they drink from the “rivers of living water” (John 7:38) that Jesus promised to those who believe in Him. God is already at work there. Three hundred churches across the region are participating, and more than 6,000 people have taken part in the Christian Life and Witness training. Churches asked their members to write down the names of unsaved people they will pray for and invite to the Crusade, and then turn a copy of their list in as a commitment. So far, 13,000 lists have been turned in! More than 4,000 young people recently packed a youth rally to pray for an outpouring of the Holy Spirit in the Cúcuta region during the Festival of Hope. Women interested in helping publicize the Crusade were invited to a prayer and training rally—over 4,300 women showed up to take part, including Venezuelan newcomers. At that women’s rally, a young man lingering near the entrance asked if he could come listen. He sat quietly during the worship music, taking everything in. Then while the women were receiving encouragement on ways to share the Gospel with neighbors, he began to weep, whispering to those nearby that he knew he needed Jesus. Someone talked further with him, and we praise God that before the event ended, the young man eagerly prayed in repentance of sin, turning in faith to Jesus Christ. Will you pray, with urgency, for the many more people in and around Cúcuta—residents and refugees—who desperately need the lasting hope and transforming power of the Gospel? In May, a few weeks after Cúcuta, I will begin a seven-city tour of the northeastern United States, preaching the Gospel from Maine southward to upstate New York. Nearly 2,000 people have participated in kick-off events across the Northeast. In every city, believers are gathering this month to pray for unsaved people in their community, and many are taking our Christian Life and Witness training in advance of the tour. We count on your prayers and gifts to do this work. In the words of the Apostle Paul, “I know that through your prayers and the help of the Spirit of Jesus Christ” (Philippians 1:19, ESV), the outcome is sure. Thank you for all that you do for the sake of the Gospel.